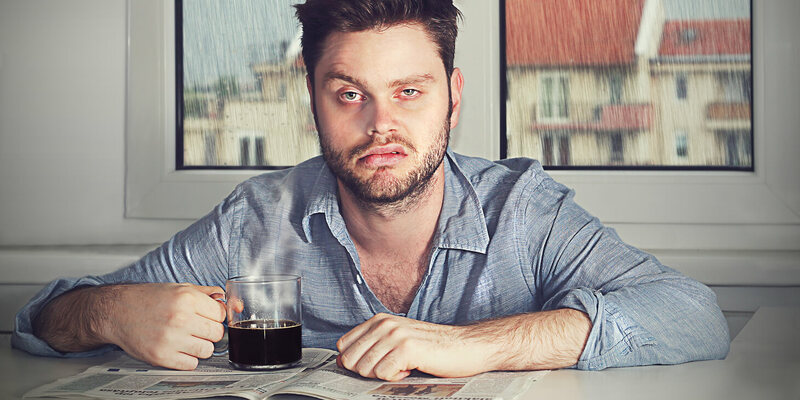 You’re bleary-eyed and annoyed with the world…and kind of wish you were home in bed right now. Of course, there’s also a third possibility: You’re chipper and well-rested, and somehow reading this post anyway. I don’t know why you’re here — but welcome to the party! Look, this isn’t an article about counting sheep or taking all of your vacation time. It’s about what to do when you’ve got work stress keeping you awake at night and you need real solutions. There are lots of useful resources on the internet and elsewhere to help you with treating the effects of stress through exercises that calm the body and quiet the mind. Those treatments are important, but you’re not going to find them here. My specialty is helping my clients analyze the causes of their work-induced stress and implement strategies to nip the problem in the proverbial bud. Now, a moderate amount of stress is a good thing — it’s not optimal to be completely stress-free. A moderate amount of stress, well-handled, activates creativity, motivates you to complete tasks, and helps you feel alert and alive. But how do you keep it in that sweet spot where it improves performance but doesn’t keep you up at night? You find out what your stress triggers are and implement strategies to mitigate them. Here are three common trigger examples I hear frequently from my clients — along with a strategy to help you deal with the cause of the stress and finally get some much-needed rest. Ellen advised me to improve processes and empower others so much that my role would become obsolete, and I would be indispensable in positions above mine. I followed her advice and was promoted five times in the seven years I worked at that company. Are you indispensable in your current position? Then there you will stay — and your stress levels will continue to spike into the unhealthy ranges. Make sure that you are not the only one who knows how to do your job. Document your procedures. Motivate and empower your colleagues to make decisions without you. If you’re the only one who can approve certain actions, then work stops whenever you are not there. Cross-train others on the skills that you uniquely possess. Help a team member become the expert spreadsheet developer in the group. Create a training class. Mentor someone. I have a healthy relationship with procrastination and even use it from time to time to as a sweet reward. However, sweet treats can rot your teeth if you enjoy them too often — and sweet as procrastination may be, it can do a real number on your quality of life (and sleep). It’s human nature is to avoid unpleasant things, so don’t hate yourself when you do it. But if you can reduce procrastination, all the better. Include a verb in every entry on your to-do list: Read, call, email, review, buy. If the to-do is action-oriented, it’s easier to get started on it. Pay attention to your productive times of the day and plan your more cerebral tasks for those peak hours. Include fun rewards on your to-do list and put off completing them until the less desirable tasks are done. Focus on your future self. Procrastination is caused by an overemphasis on the “TodayMe” rather than the “TomorrowMe.” Think about TomorrowMe and be kind to him or her. With the Pomodoro Technique, you set a timer and work in 25-minute increments, then take a 5-minute break. You can do anything for 25 minutes, even that distasteful task that’s languishing on your list. You can use structured procrastination to take a task you’re avoiding and put it off on purpose…and in the meantime, do everything else on your to-do list. Stress trigger #3 I have more to do than I can possibly get done. Be realistic about what you can accomplish. One of the exercises that my clients find enlightening is when we create an accurate and comprehensive list of everything that they need to do between now and the foreseeable future. They have an epiphany when they realize that they are set up for complete failure. There is no way they can check off everything on this list in the expected timelines. Prioritize making and managing your to-do list even if you “don’t have the time.” Without it, you cannot make a cogent business case about workload reallocation and might come across as a whiner. Understand that your to-do list is never empty. As things roll off, others roll on. The goal is not to empty it, but move things along the path to completion. Use your calendar as the shield it’s meant to be. Your calendar should reflect your priorities. Or course, there’s always one more option. Sometimes it’s actually not so ridiculous to consider changing your job, industry, or even career. I made this difficult choice nine years ago, and I’ve been sleeping a heck of a lot better ever since. Remember, my bleary-eyed friend, the goal is not to live a life that is devoid of stress. That would be boring. Work to stay in that sweet spot where you are focused and motivated to perform well. And rest easy knowing that there are real, actionable steps you can take to get out of the misery zone and back into the performance zone. As measured by almost every personality test known to psychology, Dr. Melissa Gratias has the profile of a disorganized, scattered person who detests planning and thinks calendars are for wimps. So it makes perfect sense that she became a productivity psychologist...right? Dr. Melissa’s philosophy is that personality may dictate our preferences for action, but our capacity is usually much higher. On a daily basis since 2007, Dr. Melissa has helped business people worldwide be more focused, balanced, and productive. She has tried similar principles with her husband and two children with varying degrees of success. Dr. Melissa is a blogger and social media nerd, so follow her!